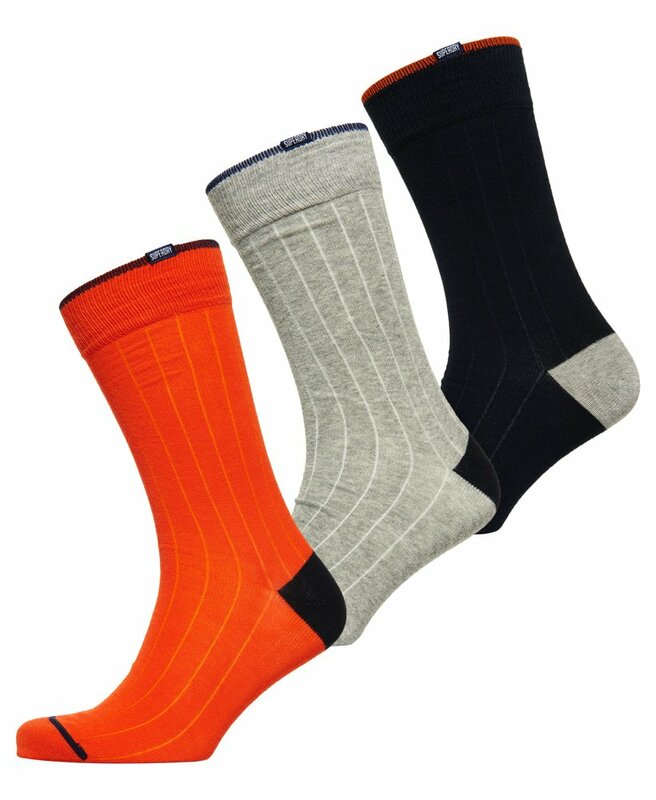 Superdry men’s Rib City sock box triple pack. The perfect gift for this season, the Rib City sock box triple pack features three super soft pairs of socks made from a premium soft cotton, with woven branded detailing and a colour pop signature design. The socks are finished off with a Superdry logo tab on the hem.